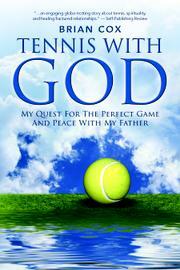 A personal memoir about a man’s difficult relationship with his father, his search for enlightenment, and his obsession with tennis. Debut author Cox’s dad worked in the U.S. Foreign Service, and as a result, he spent his own childhood traveling the globe. He was born in Nairobi, Kenya, in 1960, and he and his family went on to live in various places on several different continents; in 1965, for instance, they were evacuated from Saigon, Vietnam, as war arrived. Following in his father’s footsteps, the author became an avid tennis enthusiast, and even took lessons from a student of Pancho Gonzalez, one of the world’s best tennis players, while living in Laos. Cox relates his turbulent relationship with his father, whom he characterizes as cold and sometimes emotionally abusive; still, the author compulsively practiced his tennis game to win his dad’s praise—and to finally beat him on the court. In fact, he trained so tenaciously that the wear and tear on his body forced him to take an extended hiatus from the sport. Eventually, his mother remarried, and Cox joined his sister in the Pacific Northwest to go to college, where he again played tennis. There, he also became intensely interested in Eastern philosophy, meditation, and yoga; he trained at a holistic yoga center before accepting the life-changing mentorship of Dennis Adams, a self-proclaimed psychic. Throughout this memoir, Cox writes movingly of his lifelong search for inner peace, as well as about his uphill battle to free himself from the grim influence of a mercurial parent. He also arrestingly describes his own spiritual experiences on the path to enlightenment: “it felt like I was connected to everything that existed through small streams of energy or light. This web of light was a soft, conscious energy; it flowed between me and everything else in existence.” In the end, Cox delivers an intriguing life story that depicts Eastern spiritual practice as a tonic to Western culture. A brief but edifying remembrance that’s filled with poignant personal reflection, as well as moments of international adventure.